Pat Burns is dead. That was announced at around 11:00 AM Friday. Pat Burns isn’t dead. That announcement came around noon. What the heck is going on? 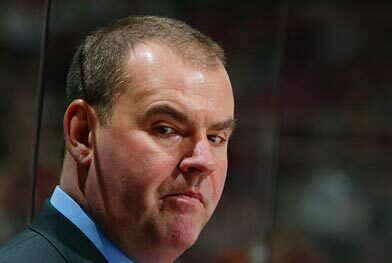 How did Pat Burns feel? Why was everyone so hell-bent on being the very first Canadian sports media outlet to announce Pat Burns’ demise? That’s easy. It’s because the narrow-thinking, myopic individuals who inhabit sports directors’ and executive producers’ offices across this nation think that the most important thing in sports television these days is to get it first – no matter what “it” is. And, until that ridiculous train of thought is broken, we’re going to have to endure more and more of exactly what happened Friday. And I can tell you firsthand where this garbage began. About a decade ago, as the internet was just emerging as a way to provide more information to the sports-loving public, covering NHL trade deadline day became the flavour-of-the-month. That’s because, in October 1998, CTV Sportsnet (now Rogers Sportsnet) was born. That meant TSN, who had ruled the roost for about fifteen years, would suddenly have a direct competitor. Competition, to the suits who sit in the offices, means one thing: We have to be faster. “Better” never comes up in any discussion with any executive. Ever. Just faster. In March 1999, Sportsnet was poised to wade into its first trade deadline day coverage, and I was handed the job of getting it all on the air. We had a reporter in each Canadian city. Darren Dreger, Greg Millen and Nick Kypreos on our desk, and Christine Simpson at Air Canada Centre in Toronto. We were given one directive, and it was not to have a great show. 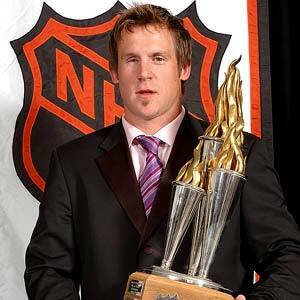 It was to beat TSN. Beat them to everything. Beat them to small trades. Beat them to large trades. Beat them with analysis. Beat them with speculation. Just beat them. The next year, with a set the size of the Starship Enterprise (that was the set’s nickname), we matched TSN’s numbers. In 2002, with a 10×20 big-screen behind our in-studio commentators, we surpassed TSN. There was shouting and cheering and more than a few adult beverages consumed. But, over those four years, never once did the phrase “Let’s be better than they are” leave anyone’s lips. It was always, “We gotta beat those so-and-so’s.” Our shows were miles and miles more entertaining and engaging than TSN’s, but no one wearing a Sportsnet suit and tie cared. As long as that “must have it first” mentality exists, events like Friday’s Pat Burns fiasco will continue to flourish. So don’t blame tweeters or bloggers. Point the finger squarely at the big network sports media outlets. They’re the minds who drive the bus. Bad Behavior has blocked 1207 access attempts in the last 7 days.